"Eilon Engineering's RON dynamometers, load cells, hanging scales, and crane scales are load, tension and force measurement devices used for weighing during lifting, force and load testing and overload prevention. 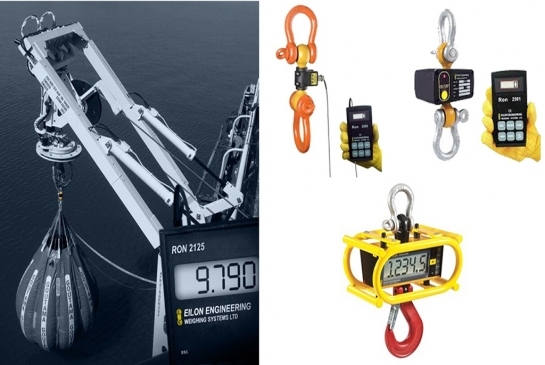 During the past thirty years, Eilon Engineering's RON crane scales, hanging scales, dynamometers, load cells, and overload detectors have gained international recognition for their high quality, reliability, compact dimensions, and unique features which ensure the user's safety and convenience. The best raw materials and components together with the highest standards of manufacturing are matched to RON Crane Scales leading technology."